It seems bad news is covering the globe these days. A steady diet of negative reports is unhealthy, depressing and paralyzing. 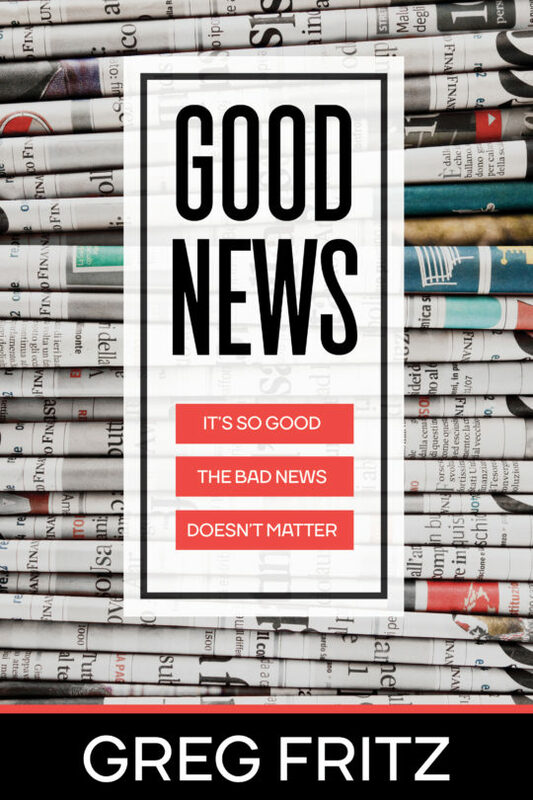 Yet, God has GOOD NEWS for you that’s so good the bad news won’t matter anymore. Author and minister Greg Fritz shares GOOD NEWS from God’s Word that will uplift, liberate and empower you. These truths will help you see where you came from, why you’re here, who you are and where you’re going. This GOOD NEWS is for you! This book is simple enough for a new believer yet includes a systematic study of man’s redemption deep enough to enrich any student of the Bible. It’s written in a way that takes ancient Bible doctrines and applies them to the problems and challenges we all face today. Order the new book from Greg Fritz for just $12.95 plus FREE shipping. Paperback.